It’s always better to take a backup of all your personal data, medias of your Android phone. Since your phone is an electronic device, it can’t be trusted that all your personal data stored in your device is safe. So in case you have lost your all data on your phone, the backup will come to your rescue. Now the main confusion here is that which is the best Android backup apps on which you can really trust. So, here are the best Android backup apps for Android Phone that will make the backup process a breeze. You may need to restore Android device in case you face Android error 504 and other Google Play Store errors. So, before you restore your Android phone to Factory setting, you need to take a complete backup of your phone data. CM Backup is an Android app which can take the backup of all your data developed by Cheetah Mobile’s. This app is one of the highest rated Android backup app in the Play store currently. This app will take the backup of your contacts, messages, bookmarks, calendar, call logs, alarms and so on. However, this app doesn’t take the backup of applications. This app is like a cloud storage, and it also has a website where you can manage your backup stuff. Another interesting thing about this backup app is that you will get 5GB free storage at the time of sign up. You can download the CM Backup app from here. Easy Backup and Restore for Android is also one of the most popular backup app available in the Play store. This apps user interface is very user friendly and also it’s really simple to use. This can take the backup of your application and can also take the backup of calendar, MMS and so on. In order to use some special features of this app you need to have root access on your device. Easy backup and Restore is completely free to use. You can download the Easy Backup and Restore app from here. MyBackup is again one of the most popular Android backup apps. However, this app does require you to have a rooted Android phone. This app can take the backup of most of the things like music, photos, videos, apps, SMS, and also it can take the backup of system settings. This app comes in two version, one is the free version and another the Pro version. In free all the basic features are available but in Pro version, you get some extra features such as where to backup and restore from. It also gives you the option for cloud storage and computer too. However, this app is still one of the best backup apps for the root users. You can download the MyBackup app from here. Helium is also one the successful backup app available for the Android users. In order to use this app, you don’t need root access on your device. This app basically takes backup of your stuffs like, videos, music, photos. Also you can take the backup to your computer. This app is also available in the Pro version with some extra features such as backup to the cloud storage including Dropbox, Google Drive and One Drive. You can download Helium app from here. Backup Your Mobile is another simple and basic backup app which is fully free to use and doesn’t come with a Pro version. This app can take the backup of most of the things which include, System setting, Apps, call logs and so on. The UI of this app is user friendly and it’s really simple to use it. You can download the Backup Your Mobile app from here. App Backup Restore is an Android backup app with a bunch of extra features when compared to other Android backup apps. You can take the backup of your apps APKs, call logs, SMS, Contacts and of some others. This app doesn’t take the backup of your apps data, but only the apps APK will be created and saved. After the factory reset you can easily install all the apps to your device. You can download App Backup Restore app from here. 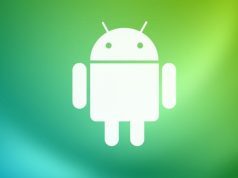 List my app is an Android app which is kind of different from other Android backup apps. Taking a backup of your apps consumes a decent amount of space of your device storage. Basically this app doesn’t take the backup of your apps but instead of that it makes a list of all the apps installed in your device and you can refer it in future when ever you are in need of it. You can download List My Apps from here. At last we come to the king of all the backup apps know as Titanium backup. As most of the Android users will be aware about this app. This app was launched a long time ago and has been a successful app when it comes to backup. You can backup all your device stuff using this app and in order to access it’s all cool features you need to have root access on your device. Using this app you can freeze and uninstall bloatware, and if you become a Pro user you get a far better features such as syncing to cloud storage and 1-click batch restore. Using this app you can freeze and uninstall bloatware, and if you become a Pro user you get far better features such as syncing to cloud storage and 1-click batch restore. You can download the Titanium Backup app from here. So this were the 8 best Android backup apps currently available in the Play store. Do let us know your favourite app in the comments.